We know that there are a lot of moving companies in Dallas offering muscle and trucks, as well as moving truck rental companies. 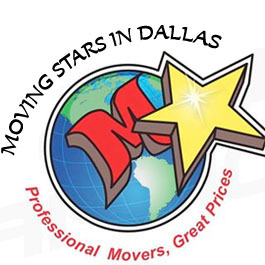 But our goal at Moving Stars in Dallas isn’t just to get your belongings from Point A to Point B. Our mission is to make moving as easy and stress-free as possible – all without breaking your budget. If you are moving on a tight budget, it might seem like you have to sacrifice quality and settle for a second-rate moving company. With Moving Stars in Dallas, this is NOT the case. From day one, we invested in training for our employees as well as technology, such as truck lifts and quality furniture padding. Because of these investments, our movers are able to move your items much more efficiently and safely. Your belongings get moved with no damages and they get moved faster. For you as the customer, this means lower costs while still getting great-quality professional services. Because we are so efficient at moving, our local moving services are often cheaper than DIY moving with a rental truck. Remember, you won’t have to pay for gasoline, parking permits, rental fees, or late fees when you hire us! Moving is such an emotional and stressful time that you want to make sure you are being treated with courtesy. We understand this and all of our movers are held to the highest standards of customer service. From the moment you contact us for a free estimate, we will take the time to carefully and clearly answer your questions and address any concerns you have. On moving day, our team will arrive on time. They go the extra mile, such as by taking measures to ensure your floors stay clean if it is raining, and unloading boxes and furniture exactly where you want them. We can also provide moving advice and tips for you. We are very proud of the moving services we offer and know that we are one of the best moving companies in Texas. However, we also know that everyone’s moving needs are different, which is why we tailor our services to suit your exact needs. This allows us to get the move done quickly while keeping costs low for you. Since all of our movers are professionals and not just weekend hires, and they all receive training in specialty services like packing electronics and antiques, you can count on us for safe, damage-free moves.